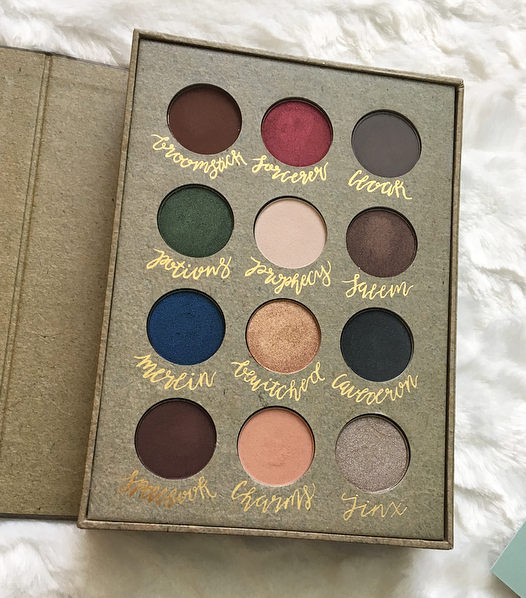 I am a massive book nerd and makeup lover, so this palette from Storybook Cosmetics literally screams my name! So much so that I preordered it months in advance and tracked it every step of the way until it arrived at my door. I was not disappointed. Storybook Cosmetics is an indie brand that I hadn't ordered from before, so I was not sure what quality to expect. The palette is definitely gimmick-y, though quite expensive, so I didn't know if the shadows themselves would be good or if you are paying for the novelty of it. The palette arrived in a cool brown drawstring bag with the Storybook logo on it and a pale blue bookmark was included, which I thought was a nice touch. 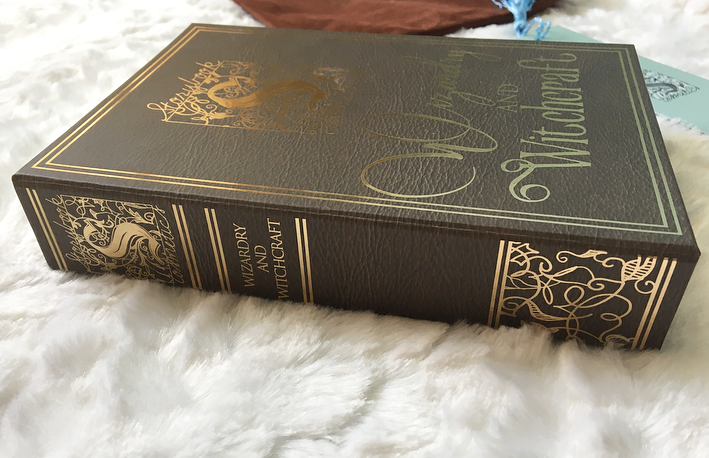 The Wizardry and Witchcraft palette itself is absolutely stunning. It is shaped like an old book and opens the same way. It is very thick, including a mirror, a strong magnet, and twelve shadows. Below the mirror is a quote about magic from Wolfgang Von Goethe. For a makeup hoarder like myself, this palette takes up a lot of room. I keep my palettes stacked on top of each other and this one is very thick, several times the width of an Urban Decay, Tarte, or Lorac palette. Then again, if this palette were thinner it wouldn't look as much like a real book, so I'm torn about that aspect. I do absolutely love the packaging and it feels good quality. The shadows involve a range of shades, many of which I don't have in my collection already. The shadows are named after a variety of Wizard-type names, some things reminding me of Harry Potter (including the palette name and shadow variety) and others reminiscent of the Legends of King Arther and the Salem Witch Trials. I guess Hufflepuffs are missing out considering there isn't a yellow in this palette (the gold might take its place, and I wouldn't use a yellow anyway) but otherwise there is a broad shade range in this palette. This makes it hard to get a cohesive look and I've mostly been gravitating towards the same few shadows, or forcing myself to go out of my comfort zone in order to test others out. My favorite shades are Broomstick, Sorcerer, Salem, Bewitched, and Jinx. Other than the bright red Sorcerer, these are the most wearable colors. I love blending Broomstick in the crease, applying Betwitched all over the lid, and then putting a pop of Sorcerer along the lash line or in the outer v. The other two brightest shades, Potions and Merlin, I don't think I'll get a lot of use out of but they are stunning colors. People with blue or green eyes or a cool complexion might love them. The shadows themselves are good quality. The mattes aren't the absolute easiest to blend, but they aren't chalky or too powdery. They don't swatch well for some reason, but I find that they go onto the eyes nicely. The matte formula is on the dry side but they aren't hard to use. I wish they had included a light brown transition shade. I will usually use another palette or a bronzer for that purpose. A shimmery highlight shade would have been nice, too. Some people probably would have also liked Cauldron to be a matte. Overall, the shade selection is really unique and it fits the theme of the palette, but as I already mentioned there are some lacking shades! Each of the pans is a decent size, I'd compare it to a Makeup Geek single shadow. The shimmery shades have a really nice formula. They apply so well with a brush and spread easily all over the lid. They are pigmented, buttery, and have a nice metallic finish. They are definitely smooth shimmers, not glittery, chunky ones. The only satin shade, Charms, has a beautiful formula that applies like a dream. I hate peach colors so I will probably never use it, sadly, however peach is very trendy at the moment and some people might like it as a transition color. The bright emerald, blue, and red shades don't swatch ultra-pigmented but with a brush I find that they are easy to build up. None of the shades have a ton of fallout, although there can be a little depending on how much you apply, as with any palette. Most of my looks have lasted well throughout the day overtop of the Wet n' Wild Photofocus eyeshadow primer. They don't crease and they stay in place throughout the day. I wear a primer everyday so I haven't tested them without one! Overall, I'm very impressed with Storybook Cosmetics and this palette. I think they easily could have sold this palette based on the novelty alone, and I really appreciate that they didn't. It's marketed as a Harry Potter palette, but I believe they weren't able to use any official trademarks due to legal concerns so I think they made it as similar as they could to the Harry Potter world. I love a lot of witchcrafty things so I don't mind at all! I don't regret my purchase at all and I know I'll get a lot of use out of this palette, and I'll be talking about it a lot with my friends who like makeup and/or Harry Potter. This palette costs $52 and with shipping my total came to $59. 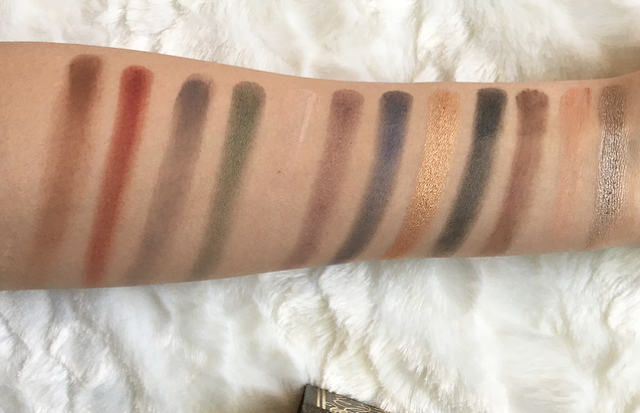 As of my writing this post, the palette is not sold out and it is available online here! 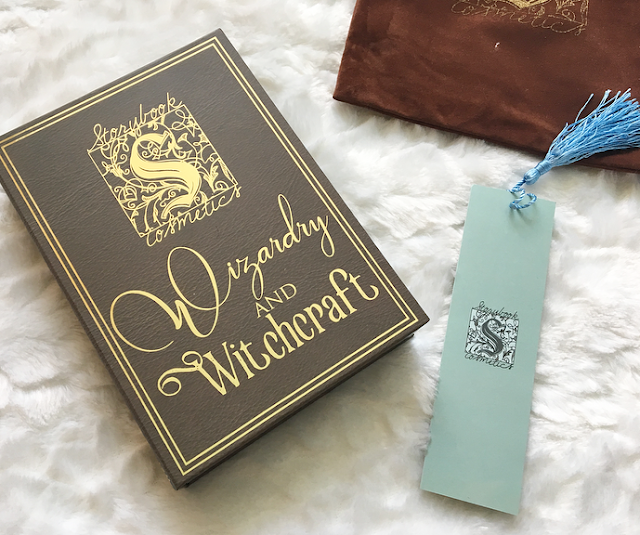 8 comments on "Storybook Cosmetics Wizardry and Witchcraft Palette Review"
I love Potions and Jinxed! This is such a cute palette and the jewel tones are up my alley, love the packaging! I want to get their Mean Girls palette when it releases! This is so cute!! I've never heard of this brand before but I love me a good gimmick so I'm all over it. Glad to hear the quality is up to scratch too, some gorgeous shades in there! Omg I love this palette!! The colours are beautiful. I'm a huge Harry Potter fan so this makes me so happy!